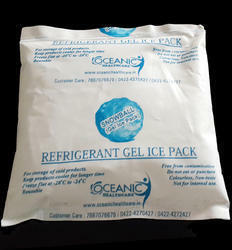 Refrigerant Ice Gel Pack is suitable for the storage of goods at low temperature during transport of goods such as Vaccines, Medicines, Food products etc. 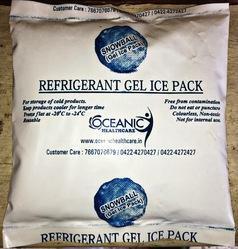 Body Cooling (can be used in Fever, Sprain after Injection etc. Before use, it must be put in refrigerator for 5 to 6 hour or till it becomes solid, now it is ready to use. Do not eat or puncture, not for internal use, can be Reuse if not puncture. 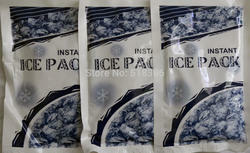 Health Care Ice Bag Cooler Handbags Cold Chilling Disposable Instant Thermal Field Bag -100g. 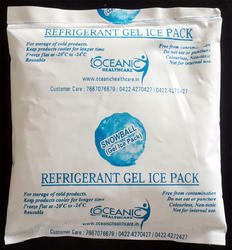 Instant Ice Pack Ice Bag Cools,its Reusable Gel Pack, can be used to cool, Cold Storage Bags for Food, Picnic, Sports etc. 1. Dont put it along with eatable hot dishes.2. Avoid pressing the touch sharp objects.3. It is not edible.4. 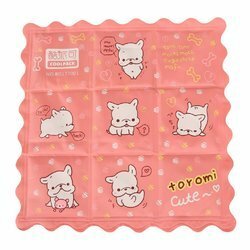 Throw damaged ice pack, and keep it away from children.5. Due to the difference between different monitors, the image may not reflect the actual color of the item, thank you.